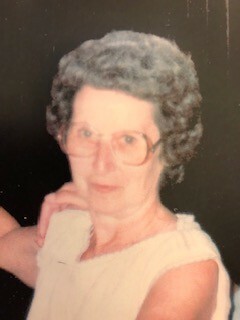 Obituary for Joan Hepler | Dunmire-Kerr & Rowe Funeral Home, Inc.
Joan Hepler, 91, of Vandergrift, died Friday Jan. 18, 2019, in William Penn Care Center, Murrysville. Born May 18, 1927, in Vandergrift, she was the daughter of the late Joseph and Pearl Pepler Summerville. She had been employed by the Schenley Distillery on the bottling line and had been a member of First United Methodist Church in Vandergrift, the VFW in Lower Burrell and the DAV in Vandergrift. She enjoyed crocheting, needlepoint, cooking, gardening and spending time with her family. Survivors include her children, Bob (Mary) Hepler, of Vandergrift, Colleen and fiance, Ed Hilty, of West Leechburg, Bill (Cathy) Hepler Jr., of Vandergrift, and Eugene (Kelly) Hepler, of Washington Township; six grandchildren, Bob (Melissa) Hepler, Sherry and her companion, Robert Domiano, Mark Klingensmith (Monica Young), Heather (Jeff) Fidler, Jesse Ryan Hepler and Amy (Matt) Hepler Johnson; six great-grandchildren, Brandon (Angel) Christy, Spencer Hepler, Cameron and Cayden Miller and Jeffrey and Carter Fidler; along with one great-great-grandson, Russell Klingensmith; and a brother, Eugene (Shirley) Summerville, of Allegheny Township. In addition to her parents, she was preceded in death by her husband, William A. Hepler, in 1998; a brother, Jack Summerville; and a nephew, John Summerville. Family and friends will be received from 2 to 4 and 7 to 9 p.m. Sunday in the DUNMIRE-KERR & ROWE FUNERAL HOME INC., 244 Franklin Ave., Vandergrift, where funeral services will be held at 11 a.m. Monday, with her Pastor, Sara Wrona, officiating. Interment will be in Greenwood Memorial Park, Lower Burrell. To leave an online condolence, visit us at www.dunmirekerr.com.